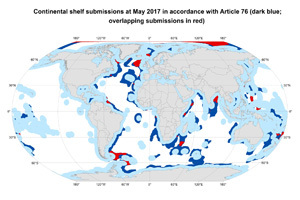 The 2019 London International Boundary Conference workshops will involve a combination of lectures and practical sessions related to maritime boundary delimitation. The first technical workshop of the London International Boundary Conference will take place at King's College on 1 April 2019. An initiative of Marbdy Consulting Ltd, the workshop will provide a very practical approach to maritime boundary delimitation covering the topics of baselines, equidistance lines, and relevant circumstances leading to equitable boundaries. This workshop is a general introduction to maritime boundaries, and no prior knowledge is needed. It is suitable for lawyers, diplomats, hydrographers, students and indeed anybody with an interest in maritime boundaries. This workshop is intended to be suitable for active participation. 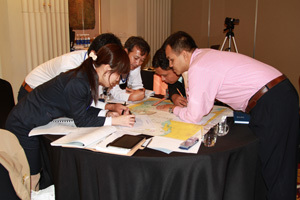 It will consist by a mix of presentations and practical exercises including a fictitious boundary scenario. • will have plenty of opportunity for discussion. The second workshop of the London International Boundary Conference will take place at King's College London on 2 April 2019. An initiative of Maritime Zone Solutions Ltd, the workshop will provide participants with an overview of submissions by States claiming continental shelf beyond 200 nautical miles, and assess current and potential consequences of overlapping entitlements (both adjacent and opposite). The workshop will examine State and Court practice in the delimitation of maritime boundaries beyond 200M, and critically assess delimitation options for a number of regions facing this challenge through a number of practical exercises. • will be provided with all necessary materials, including workshop outline texts, supporting documents, charts and digital versions of presentations. Information about the costs of registering for the workshops are available through this link.